Electric radiator fan 16 inch diamater blades ,complete with univrersal mounting kit. 2700 - 3000 cubic feet per minute. can be used as pusher or puller. Traditional 60s English heater defroster/demister as used in many of the hand built sports cars of the period. Perfect for you Cobra replica . Compact design to fit most applications. Includes defrost ducts ,polished grilles, duct hose, water hookups - built in 12 volt 3 speed fan with switch. 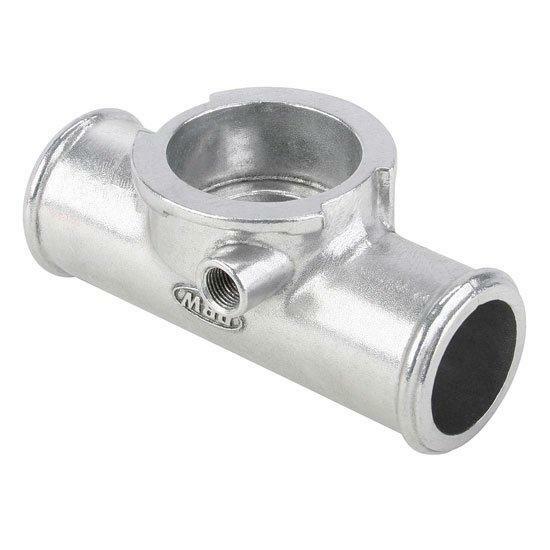 Overflow expansion tank - stainless steel 2 in diameter 10 inch high (tank body) add 2 1/2 inches for the 1/4 inch diameter inlet and outlet. Includes cap and mounting brackets. When your motor reaches operating temperature excess coolant flows into the tank and recirculates back into the radiator upon cooling. Universal ,perfect for kit cars. 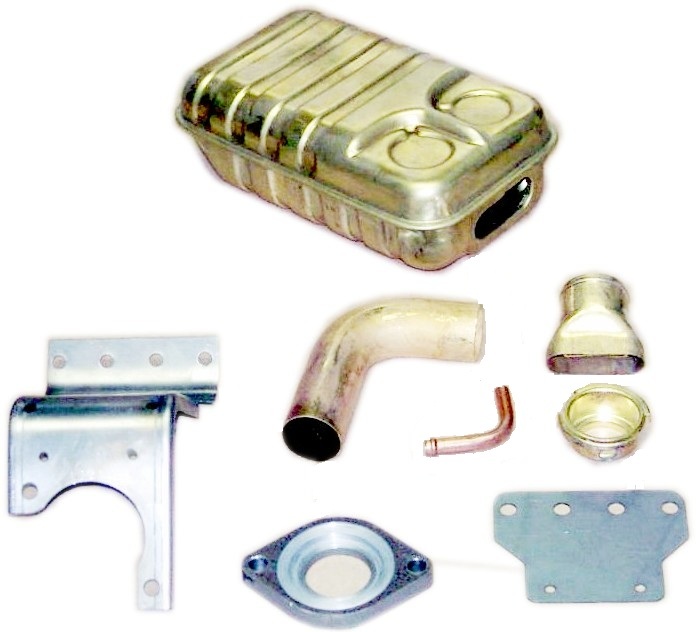 Original style overflow expansion tank ,Brass construction - manifold mount ,supplied with brackets. Available for big block FE series or small block Ford ,please specify below when ordering. 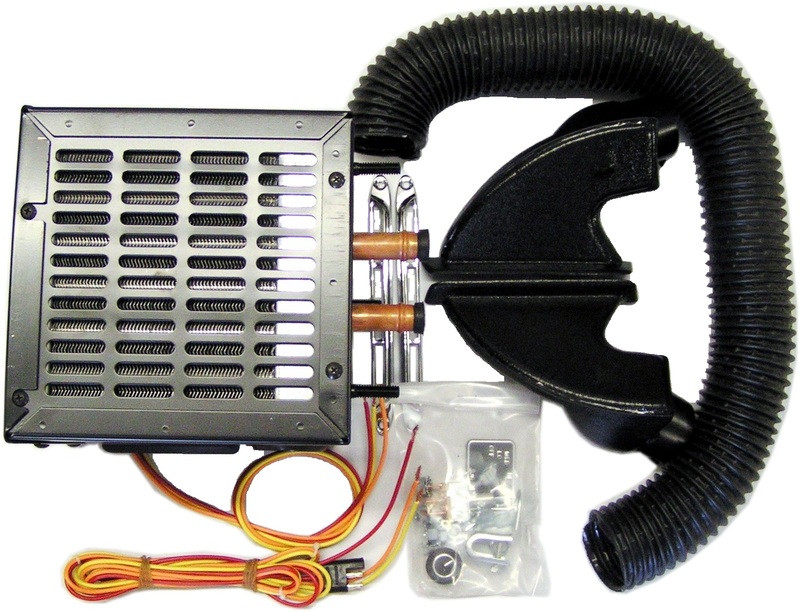 High Efficiency aluminum radiator USA manufactured for Ford or Chev (please state when ordering). Will handle high output motors and keep you motor cool even in desert climates. 2 x 1 inch cores. Dimensions as follows: height 19 inch. width 25 inch. thickness 2.25 inch. top hose connection 1.5 inch diameter. bottom hose connection 1.75 inch diameter.